(Update: Back in stock and more colors added)Look what we found for you on Amazon! Weighted blankets are so popular right now! I bought 3 last year (1 for me and 2 for my kids)! 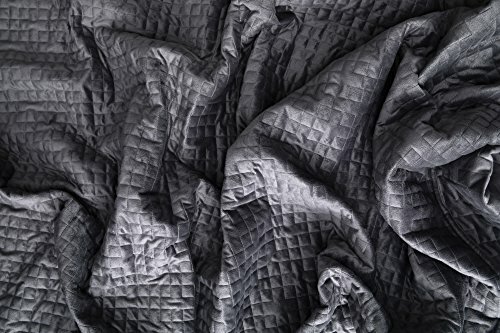 Hurry and get the Gravity Blanket: The Weighted Blanket For Sleep, Stress and Anxiety, Space Grey 48″ x 72″ (15, 20, or 25 Pound) today for only $174.30 from Amazon! You want your weighted blanket to be about 10% of your body weight. You can also get a super deal on another weighted blanket on Amazon that comes with 2 duvet covers (1 for hot sleepers and 1 for cold sleepers)! Check out all of the Amazon deals here! Amazon Prime members get FREE 2-day shipping!! If you are not a Prime member, get FREE shipping when you purchase $25 or more of eligible items across any product category. Buy the Gravity Blanket: The Weighted Blanket For Sleep, Stress and Anxiety, Space Grey 48″ x 72″ from Amazon. Next articleNerf N-Strike Elite SurgeFire – Cyber Monday Deal!